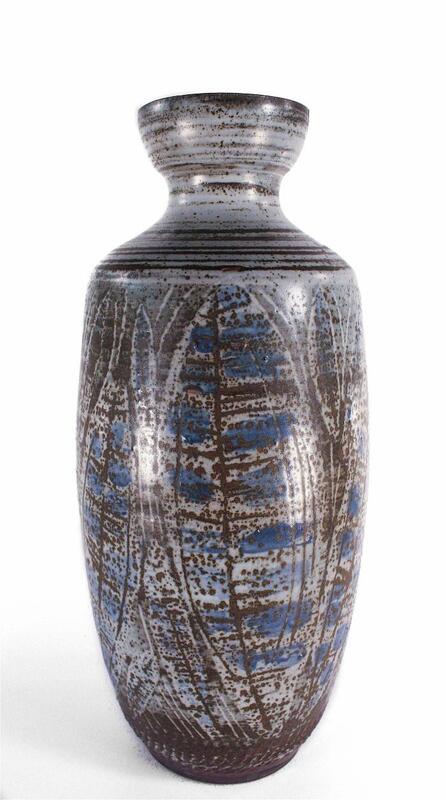 Oviod stoneware vase with sloping shoulder and cup shaped mouth. Lines encircle the vase at its shoulder and neck. The body is incised with leafy designs. A textured band runs around the bottom.